On September 26th, 2018, the Zimmerli Art Museum will become a hub for art and science collaboration as the host of LASER, or Leonardo Art Science Evening Rendezvous. These international meet-ups are a platform for cross-disciplinary exchange and collaboration across the arts, sciences, and technology. Rutgers’ LASER aims to illuminate the extraordinary research and applied practice taking place across New Jersey in our laboratories, art studios, and classrooms. In collaboration with the Rutgers Sustainability Coalition, this LASER will bring together students, researchers, and the greater campus community to consider the theme of “Fostering Sustainability.” The evening will consist of a series of lightening talks and end with a Q&A conversation about the intersection of art, science, technology, and design. Jennifer Senick, PhD, is Executive Director of the Rutgers Center for Green Building at the Edward J. Bloustein School of Urban Planning and Policy Development, Rutgers University, and an instructor in the department. An experienced urban planner, Dr. Senick received her PhD. in Planning and Public Policy from Rutgers, her M.A. in Political Science from UCLA, and her A.B. in Government from Bowdoin College. Areas of expertise include sustainable development, green building and environmental behavior. Current appointments include Environmental Design Research Association (EDRA), co-chair Sustainable Planning Design and Behavior Network; coordinator International Health Planning and Impact Assessment Initiatives, American Planning Association (APA) International Division; executive committee, American Planning Association-NJ Chapter; facilitator, NJ Health Impact Collaborative; invited member, Rutgers Sustainability Committee and Rutgers Energy Institute. Leigh Ann Von Hagen manages the NJ Department of Transportation’s Safe Routes to School Resource Center and the statewide School Crossing Guard Training program She specializes in initiatives that address pedestrian and bicycle access and safety through research, training, education, community engagement, and dissemination of information about best practices in policy and design. Through these and similar initiatives, Leigh Ann has been a leader in bringing health considerations into non-health sector decisions. Lena Struwe is director of the Chrysler Herbarium at Rutgers University and professor at the School of Environmental and Biological Sciences, where she teaches evolution, botany, and plant systematics. She has over 25 years of research and teaching experience in the fields of plant diversity, botanical nomenclature, evolution, and ethnobotany, and has been involved in many research and teaching projects-especially regarding gentians and relatives, medicinal plants, and weeds-on several continents. 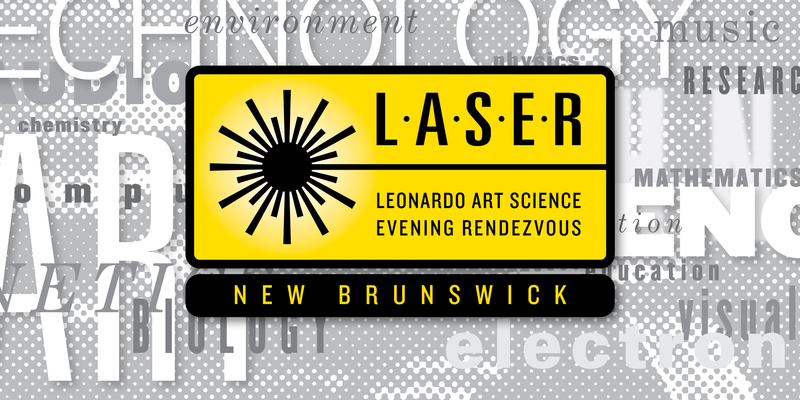 About Rutgers New Brunswick LASER: LASER is a program of Leonardo®/ISAST, is an international program of evening gatherings that brings artists and scientists together for informal presentations and conversations.